Some people spend the final moments of a year watching the ball drop in Times Square. Others spend them at home with friends and family. And still some others hit the road for the chance to be surrounded by gyrating souls, while a favorite band lays it down on stage, bringing in the new year with music and laughter. Guess which one I am. This year (or last year, depending on how you look at it), I had the distinct pleasure of spending my final moments with Dopapod and Papadosio at their New Year’s Eve bash at The National in Richmond, Va. This was due, in part, to Papadosio’s offer of two complimentary tickets for me and my boyfriend. The band is a long time favorite of mine, so there was no way I was going to miss out. 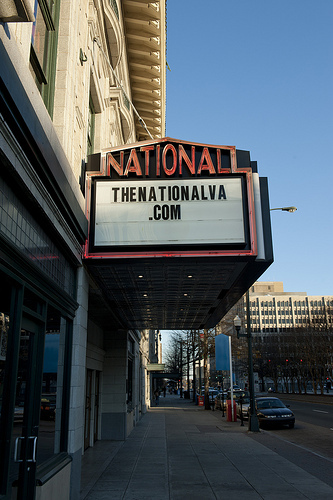 If you’ve never had the chance to visit The National, it is an excellent venue. As a historic renovated theater, it sports an elevated stage with hardwood dance floor, an extremely high ceiling, balcony seating, several bars, and beautiful interior artwork and design. It has a capacity of 1500 and this show sold out, so you can imagine what the energy was like inside. Shortly after we arrived, Dopapod took the stage. I’ve seen this band live before, but I was truly blown away by its performance Monday night. Members Eli Winderman (Keyboards), Neal “Fro” Evans (Drums), Rob Compa (Guitar), and Chuck Jones (Bass) have been tightening, as well as expanding, their incredibly executed hard rock meets organ meets psychedelic funk style. Dopapod knows no limits, mixing genres, time signatures, and expressions seamlessly, keeping the crowd on its toes. And we were loving it! Cheers and howls arose with every shift, every dynamic change in sound, signaling the crowd’s admiration of the band’s highly inventive style. Its newest studio album, Redivider, is currently available for free download at dopapod.com/redivider, so head over and check it out. All you need is a Facebook account and an email address. After a seemingly eternal set break, Papadosio made its way to the stage. 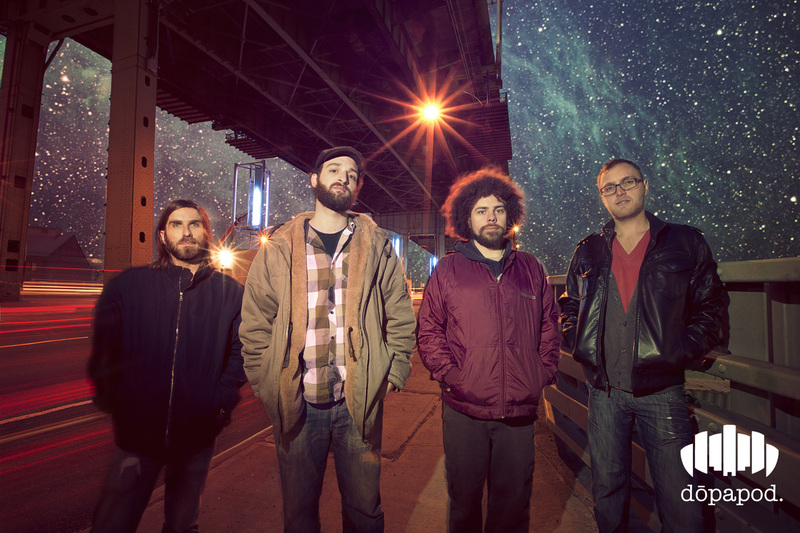 The quintet took control of The National from 11:30 p.m. on, playing some old, as well as some new from its recently released album T.E.T.I.O.S., or To End the Illusion of Separation, available at papadosio.com. Papadosio and Dopapod do a Beatles tribute. Shortly after midnight (and an energizing midnight kiss), Dopapod was invited to return to the stage for a Beatles tribute, which included “Sgt. Pepper’s Lonely Hearts Club Band,” “Lucy in the Sky with Diamonds,” and others. It had the crowd swaying just as much as any rendition of “Auld Lang Syne” ever could. Papadosio continued on, and I spent the rest of the night in an uplifting-music-induced haze, crossing paths with old friends and big smiles. We found ourselves seats on the balcony and enjoyed a bird’s eye view of the band and the crowd. 1500 souls gyrating and laughing in the new year.